Our Wall of Fame: 2017’s Featured Script of the Month winners! We chose Ronald’s script from a host of October and November submissions for its intriguing concept – which is what this free contest is all about! We combined the Script of the Month to include both October and November entries because of the off-period between our Summer Contest and current Winter 2018 Contest (enter here!) to give everyone the best opportunity possible. For winning the Featured Script of the Month, Ronald now receives free Judging Feedback and publicity on our website, Twitter feed, and Facebook page. Ronald will also get the chance for a free resubmission of his script to our current main screenwriting contest! A great set of prizes for a free writing contest! When the hypnotist dies during a past life regression, it leaves a present-day schoolteacher and an Old West gunfighter trapped in each other’s body and times. Check out a short biography on Ronald, too! Born and raised in Florida, Ronald L. Ecker received a B.A. in English at the University of Florida, and spent two years as a Peace Corps Volunteer in Arequipa, Peru. 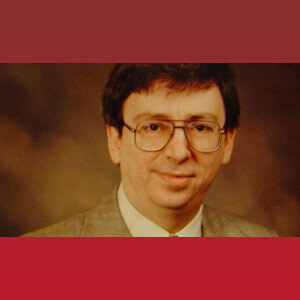 He earned a Master of Library Science degree at Florida State University, and worked as a librarian at Barry University in Miami and with the state of Florida until his retirement in 2000. 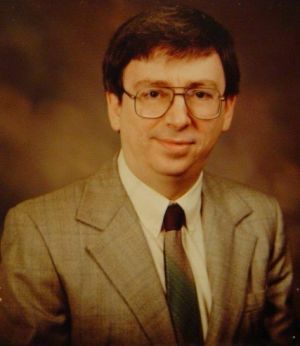 He is the author of five published books, including the Dictionary of Science and Creationism, selected by the review journal Choice as one of the Outstanding Academic Books of 1990. His complete modern-English translation of The Canterbury Tales (with Chaucer scholar Eugene J. Crook) was a widely adopted text in college and university literature courses, and is now available free in an online edition. He also writes screenplays and songs. His scripts have been in the Winners category in four screenplay contests (e.g., 2nd Place Winner in the 2014/15 Comedy Screenplay Contest, and a Winner in the 2016 True Story Screenplay Competition) and finalists in 14 others. Enter our Featured Script of the Month Contest with any contest entry or by purchasing any one of our top, studio-quality mentoring services. We are proud to be able to announce QUEEN OF HEARTS by Ethan Westgate as the winner of our Featured Script of the Month for scripts submitted in June and July 2017. With our Summer Contest only opening late in June, we decided to combine our free monthly contest for all submissions from its opening period this time around. We’re delighted to reward the most interesting script from those submissions, with a free Judging Feedback and re-entry! As ever, this is just a bonus prize and has no effect on any of our other contest results, but we love rewarding writers who are prepared to take risks to achieve distinctive scripts, and help them progress their scripts to the next level. A FRIEND LIKE FILBY by Mark Wakely. ÁNH SÁNG by Barry Brennessel. Ethan Westgate currently resides in Chicago, IL. 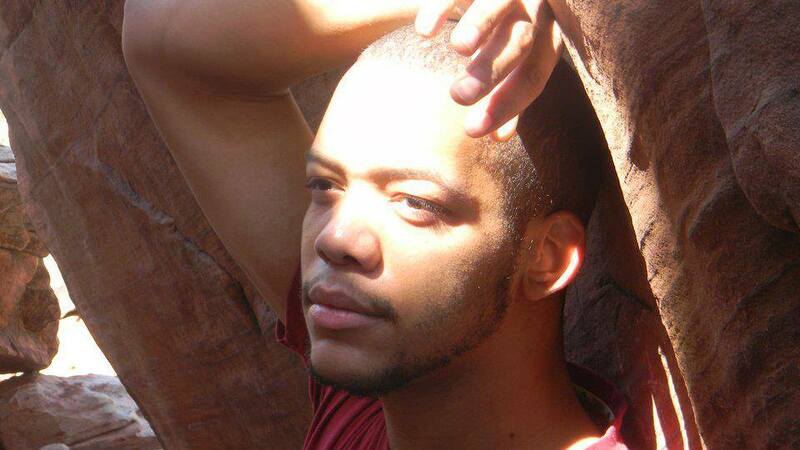 He has been working on screenplays for the last two years, Queen of Hearts is his first feature screenplay. Ethan graduated from St. John’s college in 2012. In a world where everyone is united by a global thought-network, a small minority of people are unable to access this network. Molly Dark must lead others of her kind in a race to survive as the Network turns violently against those Unconnected. 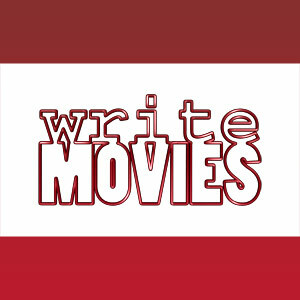 Enter into the Featured Script of the Month contest for free. Just enter the Summer 2017 Contest or order a Consultancy and you’ll gain your free entry. We are proud to be able to announce LAST RIDE OF METRO 313 by Michael Neyland as the winner of our Featured Script of the Month for scripts submitted in May 2017. This bonus prize has been created to reward and develop the most interesting script we receive in the previous month, and the result has no bearing on the result of other entries to any of our competitions. As always, it was an interesting challenge to pick the most interesting script from such a wide variety of scripts written to a high-quality, but Michael thoroughly deserves this. For winning the Featured Script of the Month, Michael receives free Judging Feedback, plus a free resubmission for a redrafted version of his script, LAST RIDE OF METRO 313, to our upcoming Summer 2017 Competition! On top of that, we give Michael and his script the kind of publicity that our previous Monthly Contest winners have received. THE LOCKSMITH, by Jeffrey Morales. AMERICAN HUNGER , by Victor de Oliveira. Michael is a married, father-of-one with a cat (a large, furry, and very floppy cat). He studied English, with a focus in Creative Writing, at FSU before shifting over into animation and design, graduating from Full Sail University with a MFA in Media Design in 2010. 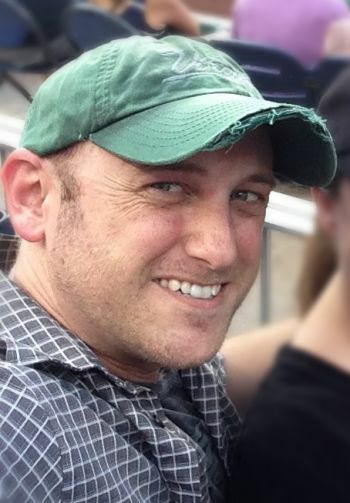 He now works full time as a graphic and broadcast designer and co-owns a design company (Infidium, LLC) with his wife, Susan. Writing has always been a large part of Michael’s life – he’s been writing short stories and comics since as long as he can remember. But it wasn’t until fairly recently that the pursuit became more than just a hobby, largely by the encouragement and support of his wife (who is an invaluable source for creative – sometimes brutal, but always honest – feedback). And, with more than 40 outlines already written, he’s eager to build off his experiences working on “Last Ride of Metro 313,” and turn these outlines into completed projects. His screenplay, “Last Ride of Metro 313,” is the first step in a larger universe of stories in the contemporary fantasy/horror genre. Michael and his family live in Northern Virginia, just outside of Washington, DC. Passengers on a commuter bus become stranded during a storm and must work together to survive strange and unnatural creatures. 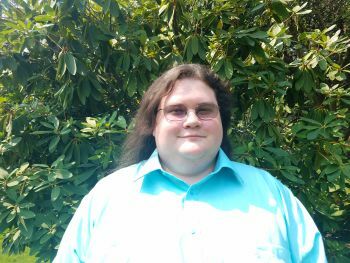 Congratulations once again to Michael for winning the Featured Script of the Month! To be in with a chance of winning the Featured Script of the Month yourself, all you have to do is submit your script to a contest (CLICK HERE) or order a consultancy package (CLICK HERE) and you’ll be entered into the Featured Script of the Month FOR FREE! We are proud to be able to announce IDLE OF MAN by Joseph Campbell as the winner of our Featured Script of the Month for scripts submitted in April 2017. This bonus prize has been created to reward and develop the most interesting script we receive in the previous month, and the result has no bearing on the result of other entries to any of our competitions. As always, it was an enjoyable challenge to pick the most interesting script from such a wide variety of scripts written to a high-quality, but Joseph’s certainly catches the eye. For winning the Featured Script of the Month, Joseph receives free Judging Feedback, plus a free resubmission for a redrafted version of his script, IDLE OF MAN, to our latest main Competition! On top of that, we give Joseph and his script the kind of publicity that our previous Monthly Contest winners have received. NOBODY TRACKS by Guy Harvey. My name is Joseph Campbell. I am a highly imaginative Screenwriter/ Director. I began my interest in entertainment in theater, this is where i was able sculpt my knowledge of storytelling and directing. I aspire to be known for my Sci-fi/ Fantasy films for their dynamic and compelling story lines. I have always been a fan of really detailed Science fiction films especially the ones that were emotionally driven. This is what inspired me to begin the independent production company J. Wolfe. Productions. Another venture that I have founded is a non-profit organization called The Lupo Production Company. There I and my Officers will conduct free Acting and Filmmaking classes for underprivileged youths in the surrounding Los Angeles area. Providing a safe place for children to learn about film. My passion for film as an art form keeps me striving to create original pieces. I am constantly writing new scripts to make my place known in the world of film. My mind is constantly churning out new ideas that i will eventually make into award winning projects. Soon to come is a play I have been working on, Royal Flush, a play that is sure to dazzle the audience. IDLE OF MAN follows the life of a depressed psychiatrist who is all of a sudden abducted by aliens and returns seeking a new perspective on life. 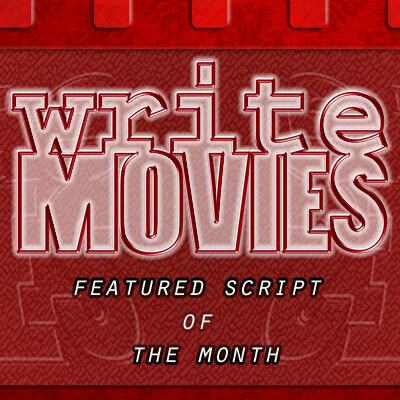 Congratulations once again to Joseph for winning the Featured Script of the Month! To be in with a chance of winning the Featured Script of the Month yourself, all you have to do is submit your script to a contest (CLICK HERE) or order a consultancy package (CLICK HERE) and you’ll be entered into the Featured Script of the Month FOR FREE! We are proud to be able to announce THE CHERRY ROOM by Christine Stevens DeLorenzo as the winner of our Featured Script of the Month for scripts submitted in March 2017. This bonus prize has been created to reward and develop the most interesting script we receive in the previous month, and the result has no bearing on the result of other entries to any of our competitions. As always, it was an interesting challenge to pick the most interesting script from such a wide variety of scripts written to a high-quality, but Lisa thoroughly deserves this. For winning the Featured Script of the Month, Christine receives free Judging Feedback, plus a free resubmission for a redrafted version of her script, MARIGOLD, to our latest main Competition! On top of that, we give Christine and her script the kind of publicity that our previous Monthly Contest winners have received. Christine Stevens DeLorenzo is a creative writer. Her scripts have won and placed in a number of competitions and film festivals in the United States and internationally. She wrote and directed the short, Book of Nyx. The trailer is available to watch at bookofnyx.com. Christine’s “Writer’s Resume” is also available to read and view there. A graduate in Creative Writing and Literature, Christine’s education has taught her that when you get to the top of the mountain, keep climbing. When not writing, Christine volunteers her time helping and encouraging other aspiring writers and filmmakers. THE CHERRY ROOM (Inspired by true events.) – An undercover cop, a writer, and the owner of New York City’s most famous gentleman’s club discover a sophisticated baby-making network that supplies elite pedophiles and satanic cults with prepubescent children. Congratulations once again to Christine for winning the Featured Script of the Month! To be in with a chance of winning the Featured Script of the Month yourself, all you have to do is submit your script to a contest (CLICK HERE) or order a consultancy package (CLICK HERE) and you’ll be entered into the Featured Script of the Month FOR FREE! We are proud to be able to announce MARIGOLD by Lisa J. Cristoforo as the winner of our Featured Script of the Month for scripts submitted in January and February 2017.